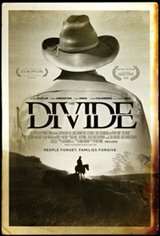 The Divide is an unconventional western, set in 1976, which delves into Alzheimer's at a time when very little was known about the disease. The Divide is set in one of the worst droughts in California history, a plight that mirrors the dry patches in the characters' lives. It is presented in black and white, to highlight the spirit of its genre.